Instagram is introducing a "Save Draft" feature to its mobile app, allowing users to start working on a post and then save a copy of the edits for finishing later (via TechCrunch). The option appears if users tap the "back" button after they have added effects, filters, a caption or a location to a photo. Previously this only threw up a warning that any changes would be discarded, but now users can opt to save a draft to their phone. To return to the draft post, users need to tap the Camera icon at the bottom of the screen, then select "Library". Posts appear at the bottom of the screen under the title "Drafts". 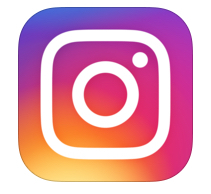 The relatively minor addition has been welcomed by Instagram users, some of whom were aware that the company had been trialling the feature among a select number of account holders since July. The draft option is also expected to be a hit among businesses and brands who use the photo-oriented social network, allowing them to prepare multiple posts in advance of publishing. People give that much thought to what they SAY on instagram? Now, these celebs can pre-draft all of their adverts for the month and just post on their way to the fashion shoot instead of manually copy pasting all of that crap. Or whoever they have managing their Instagram account.